Are you curious about our most crucially human attribute, language? Is a subject that combines the arts and sciences appealing? If you’ve found yourself asking ‘why?’ or ‘how?’ in relation to language, then Linguistics is for you. Linguistics is the systematic study of human language. Superficially, there’s huge variation among the world’s languages, and linguists not only describe the diverse characteristics of individual languages but also explore properties which all languages share and which offer insight into the human mind. The study of linguistics draws on methods and knowledge from a wide range of disciplines. For instance, the study of meaning draws on philosophy, the analysis of the speech signal uses methods from physics and engineering, and the study of language acquisition draws on psychology. This variety is one of the things that makes linguistics fascinating: one day you might be poring over a medieval text for evidence of how the grammar of a language has changed, and the next, learning about how the larynx creates sound energy for speech, or how we can record brain responses in a categorisation task. Cambridge Linguistics is internationally recognised as world leading, having come fourth in the QS World University Rankings by Subject 2018, the highest position attained by a British university. Situated within the Faculty of Modern and Medieval Languages, Linguistics benefits greatly from colleagues specialising in the linguistics of particular European languages. There are no compulsory additional course costs for Linguistics. However, depending on the topic they choose, some students may incur some additional costs (eg research trips) for their dissertation in Year 3. Full course details are available on the Department of Theoretical and Applied Linguistics website and if you have any queries about resources/materials, please contact the Department. Part II of Linguistics is also available to some undergraduates who have successfully completed Part I of another course. It may be taken either as a two-year course or as a one-year course for those who have taken a two-year Part I. Alternatively, it's possible to choose the linguistics options within the Modern and Medieval Languages course. The broad interdisciplinary training we offer provides our graduates with transferable skills that are greatly sought after by employers; for example, students learn to analyse quantitative data, construct abstract grammatical models, and test alternative hypotheses. Linguistics graduates find employment in a wide range of professions, from journalism to banking. Linguistics provides particularly good preparation for vocational training too, in fields such as speech therapy, teaching, speech and language technology (eg developing speech recognition and translation software), law, translation, interpreting, and even forensic linguistics. Familiarity with a range of human languages is also a huge advantage in careers where rapid learning of unfamiliar languages may be involved, such as in the Diplomatic Service. Linguistics is divided into a one-year Part I and a two-year Part II, and teaching is delivered through a mixture of lectures, supervisions and practical sessions. A typical week involves four hours of lectures, two hours of supervisions (in groups of six students in Part I, and two students in Part II), and one to two hours of practical classes. 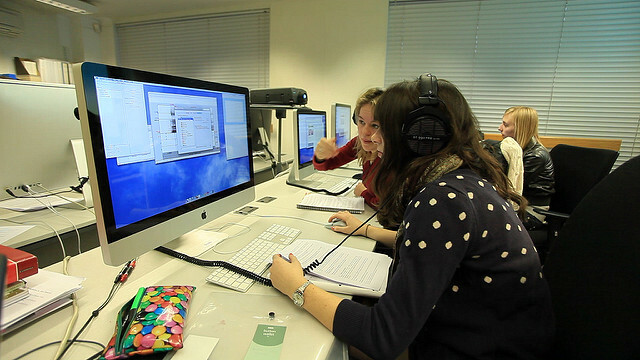 Assessment is by written examination, and practical exams in phonetics, as well as a dissertation in the final year. Part II allows you to specialise in the areas which particularly interest you. There’s a wide choice of topics to choose from, taught by the Department as well as other faculties and departments. For your fourth paper, Part IIB also includes an element of individual research as you write a dissertation of 8,000-10,000 words on a topic of your choice. For further information about studying Linguistics at the University of Cambridge see the Department of Theoretical and Applied Linguistics website. See Linguistics: Subject Requirements and Typical Offer by College for College-specific requirements/preferences. All undergraduate admissions decisions are the responsibility of the Cambridge Colleges, so please check College websites for further details. All applicants are required to take the pre-interview written assessment for Linguistics at an authorised centre local to them (for a lot of applicants, this will be their school/college). The pre-interview written assessment for Linguistics will be taken on 30 October 2019. Please check the Cambridge Assessment Admissions Testing website for scheduled start times. Experience with similar assessments and from trials indicates that, on average, typical applicants to the most highly selective undergraduate courses (who are by definition academically very able) will gain approximately half of the available marks. The best applicants will score more highly, but only relatively few are expected to gain more than 80% of the available marks. Theoretical and Applied Linguistics - Explore Linguistics in more detail on the faculty website. The Course - Find out more about the Linguistics degree at Cambridge. Key Facts - Some key pieces of information about the Linguistics course. Preliminary Reading - Some suggested reading for those interested in studying Linguistics at Cambridge. Transferable Skills - Learn about transferable skills that you will develop studying Linguistics at Cambridge. Careers - Possible destinations for graduates in Languages and Linguistics.